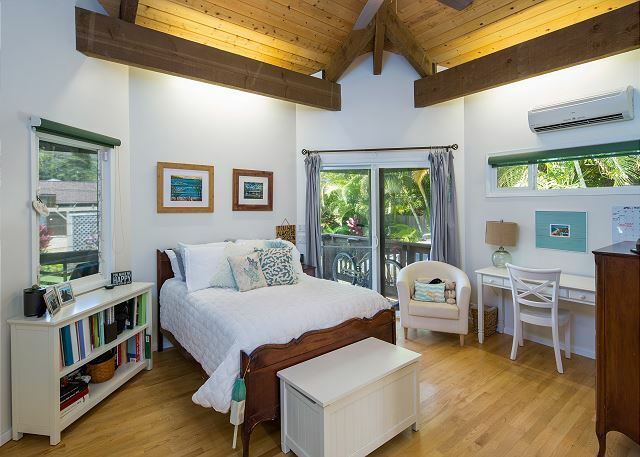 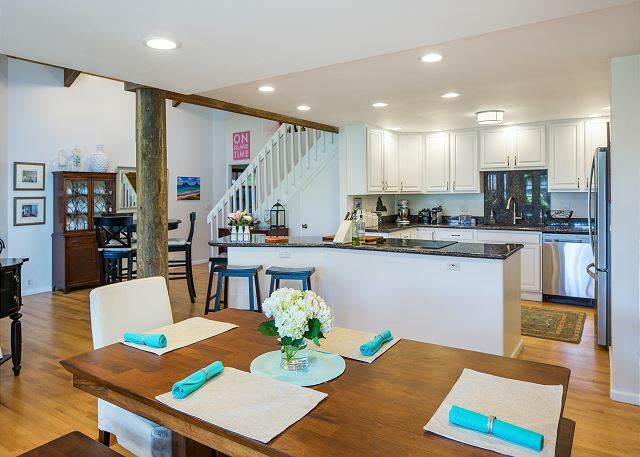 Hale Mokulua – Luxury Vacation Homes, Inc.
With 3 separate living spaces, this remodeled and updated Lanikai home is ideal to accommodate up to 14 guests. 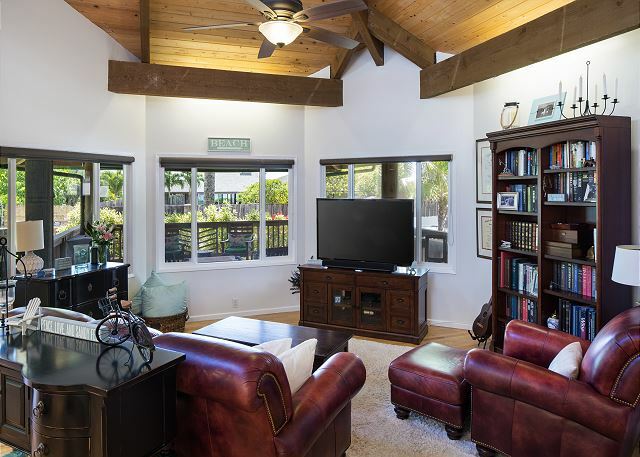 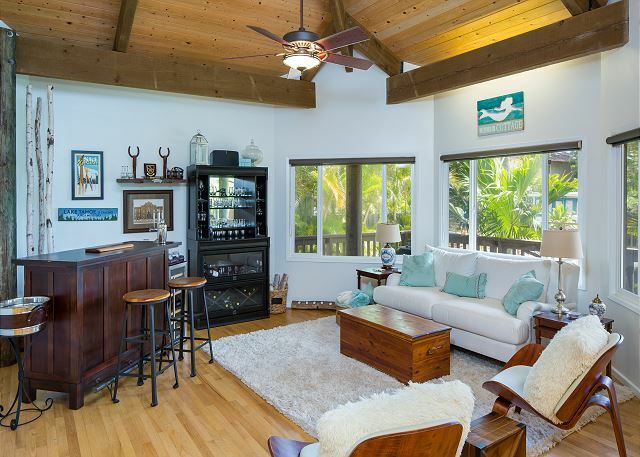 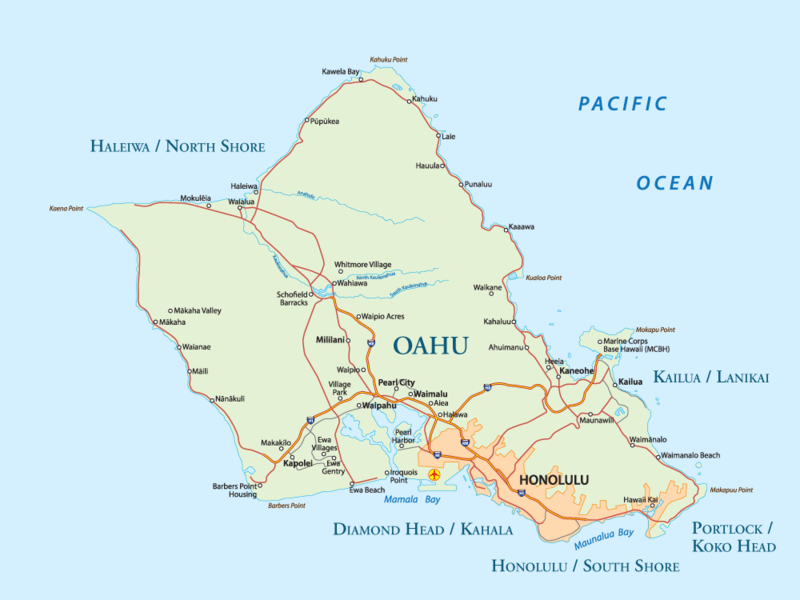 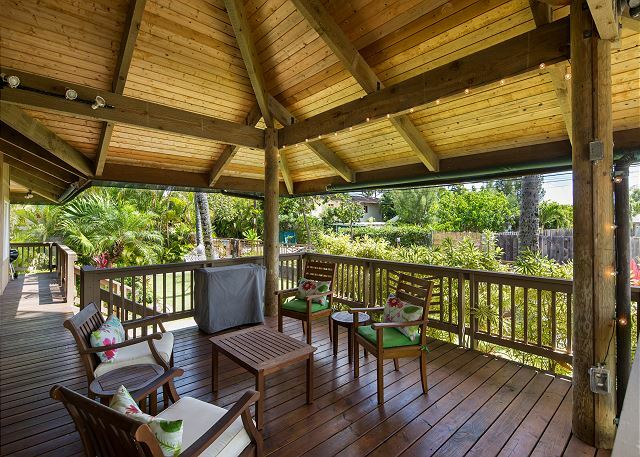 The main house consists of 3 bedrooms, 3.5 baths with an open floor plan, high ceilings, hard wood floors, modern kitchen and a wonderful, covered lanai for lounging, dining and enjoying the warm Kailua evenings. 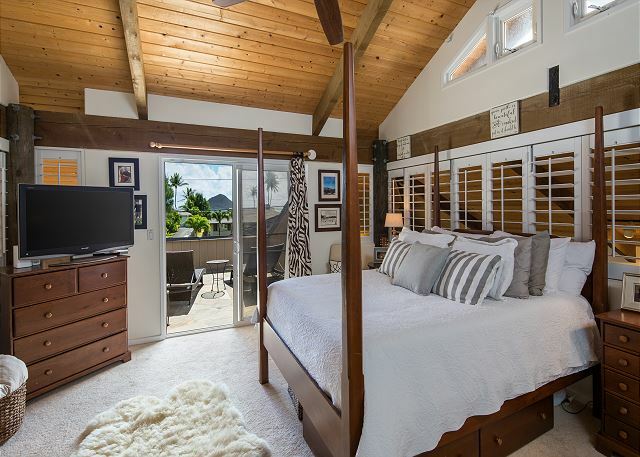 The large loft on the 2nd floor includes a king bed and queen sofa pull-out, private ocean-view lanai and ensuite bath. 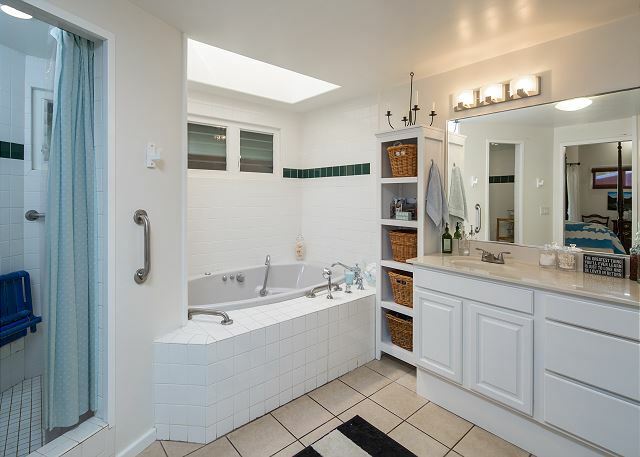 Two spacious guest rooms on the main level also have ensuite bath. 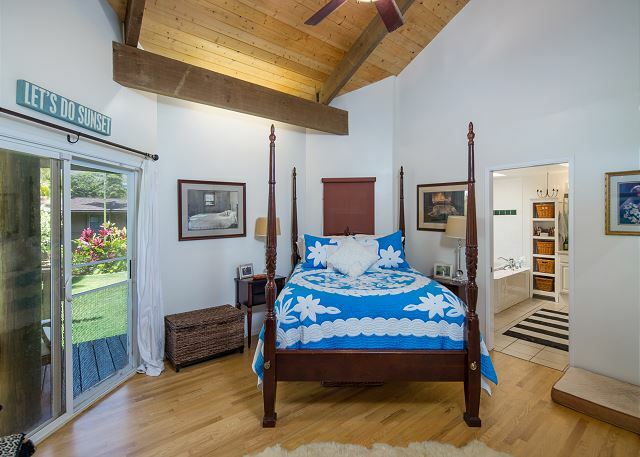 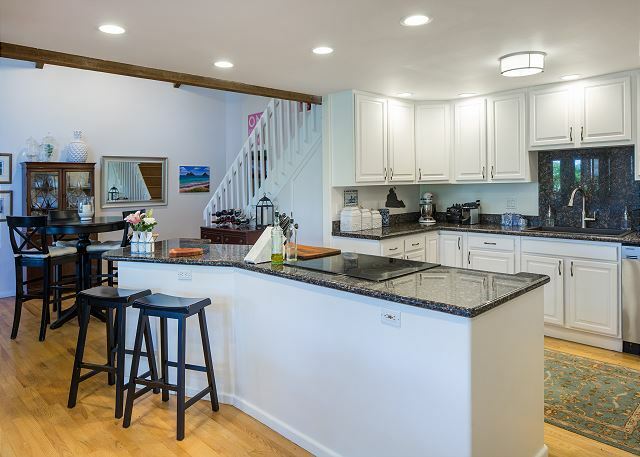 A large yard with new swimming pool separates the main house from the newly renovated 1 bedroom cottage (sleeps up to 4) and separate updated studio (sleeps 2) making this an ideal place for multi-family or large multi-generational gatherings. 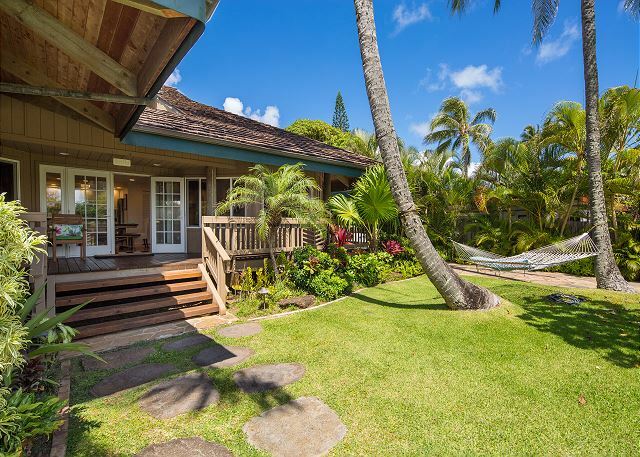 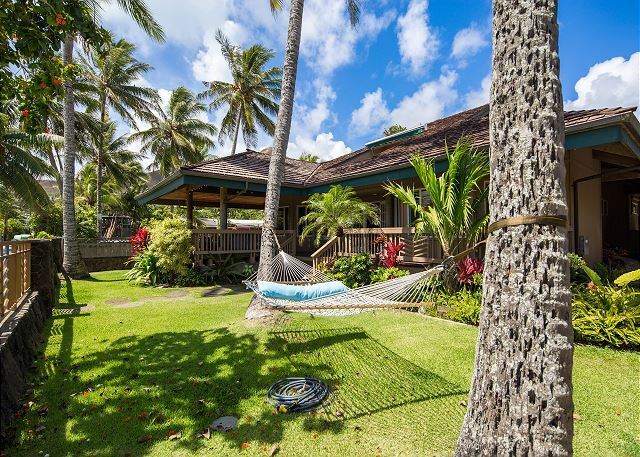 The white sands of Lanikai Beach are just steps away from this gated and private home.